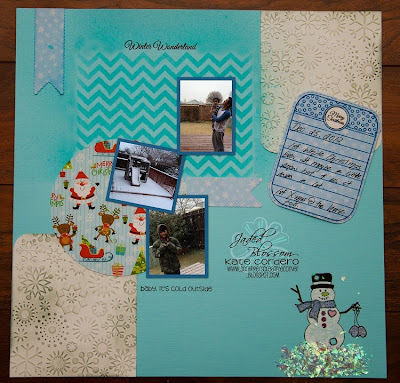 Good Morning, Kate here with our last Christmas project this month. Today I decided to make a LO. The pictures I used are taken using Instagram. I just fit 2 pictures on a 4 x 6 for printing. You actually don't need to use a coupon code anymore at Check out. Don't forget our New Monthly Challenge starts this Sunday and of course we have our August New Release starting on Monday.